Black (Grayscale) Front: *If you submit a design with information on the back side it WILL NOT PRINT --- *If you order this option and submit a design with anything but black or grayscale within the art, it will automatically convert to grayscale before its printed and no additional proofs will be supplied unless you request a Design Proof & Electric Proof as part of your order. Black (Grayscale) Both Sides: *If you order this option and submit a design with anything but black or grayscale, it will automatically convert to grayscale before its printed and no additional proofs will be supplied unless you request a Design Proof & Electric Proof as part of your order. Choosing this option would add a High Gloss UV coating to your printed product.The coating is applied after your order has been printed and cured with a special machine using Ultraviolet Light. UV Coating does not make your printed piece water resistent because the water can still get into the outside edges of the paper which will not be sealed like they would if you had the prodcut laminated for example. It also does not protect your printed product from the sun. It does however, provide a little protection and makes your final printed product really pop. UV Coating may not easily be written on with a standard pen. You would need to use a permanent marker. Once you have approved your proof and submitted your order, this is the number of business days it will take to process your order through our facility. This does not include shipping time. Your order must be submitted by 6pm CST to count as that business day. See TRANSIT TIME to calculate the number of business days it will take UPS to deliver your order. Our wide variety of door hangers were developed to keep your door hanger on the door and off the lawn by working on 99% of DOOR KNOBS and MODERN HANDLES! 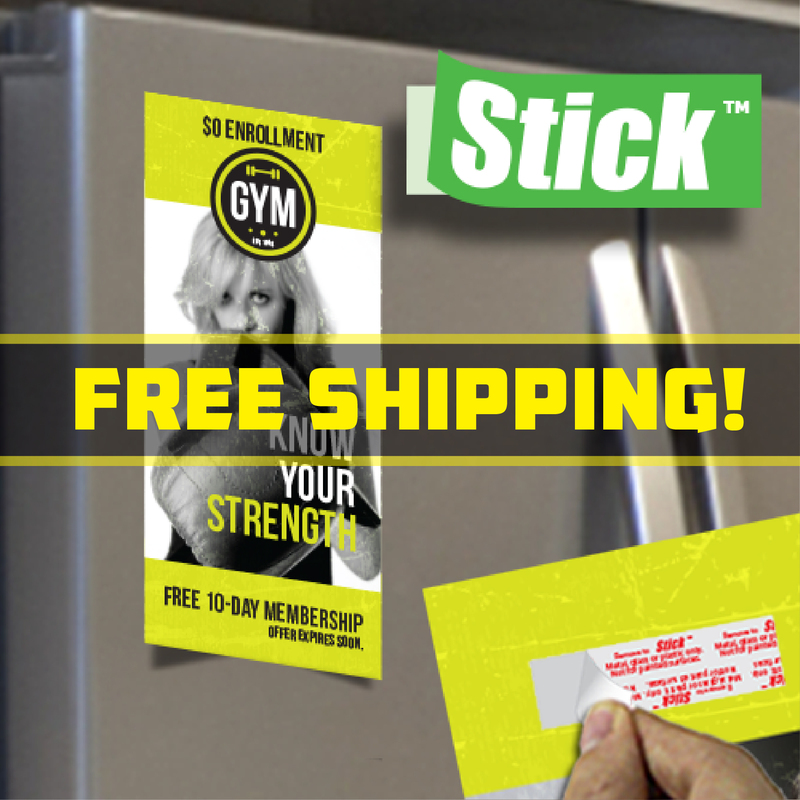 Combine different style with STICK™ so you can use the door hanger for distribution PLUS your customer can STICK™ it on the fridge INCREASING YOUR ROI! Click here for more information on our many styles of door hangers. 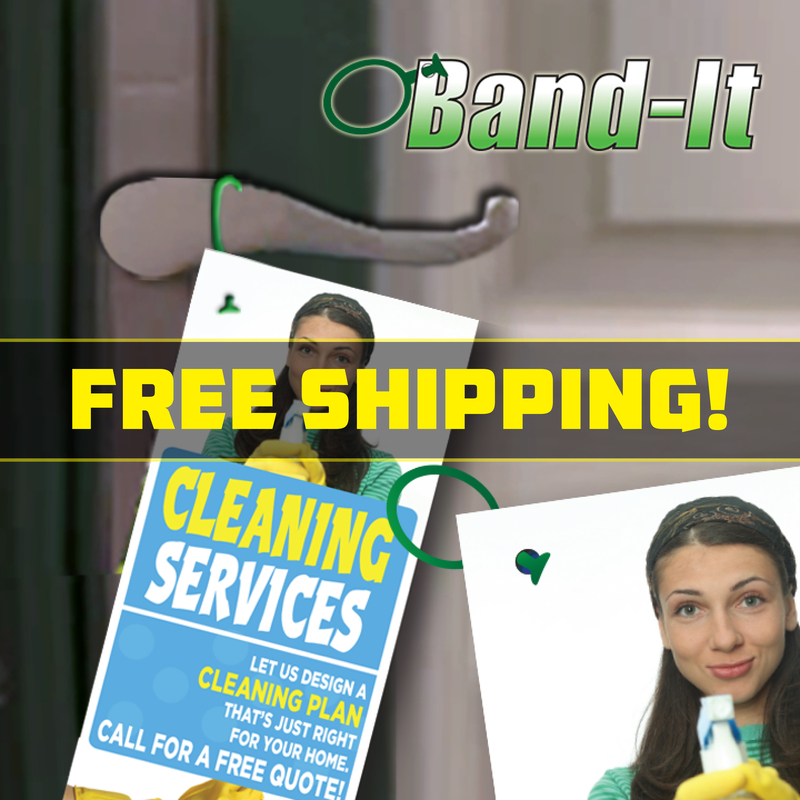 Why should you use door hangers for advertising? Use door hangers to promote a business or to send party invites instead of having your email get lost in the spam folder. 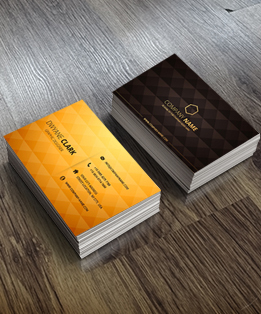 Door hangers also called door knockers, are affordable, enjoyable and personable to your event or business. 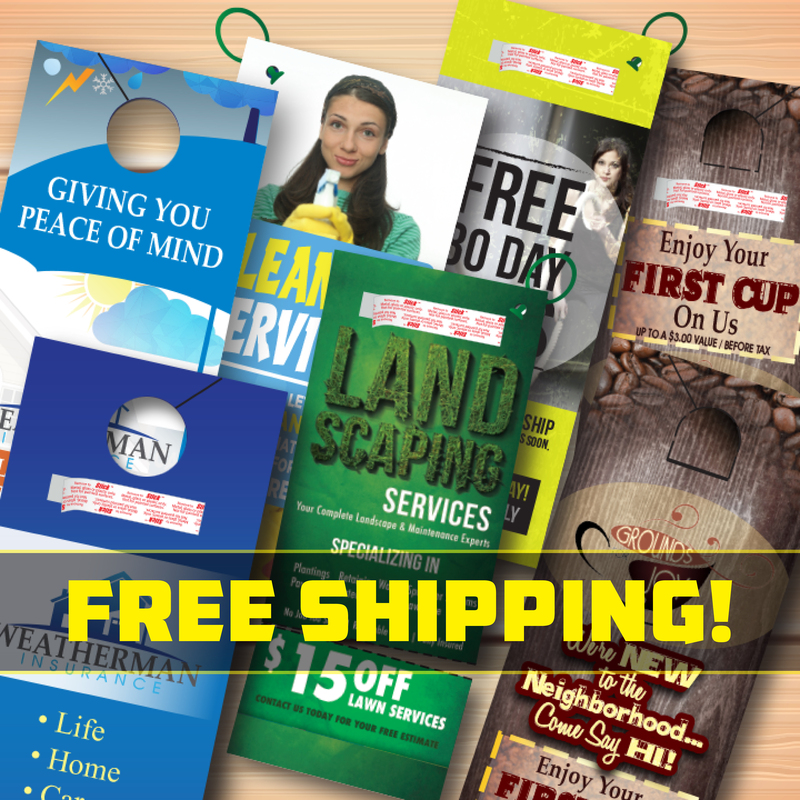 With your creative design and our various distribution styles, these door hangers are sure to get people’s attention, and not get lost in the yard! 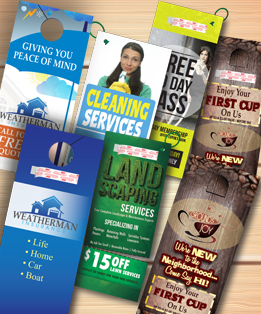 What Door Hanger Options Does Adeas Printing Offer? 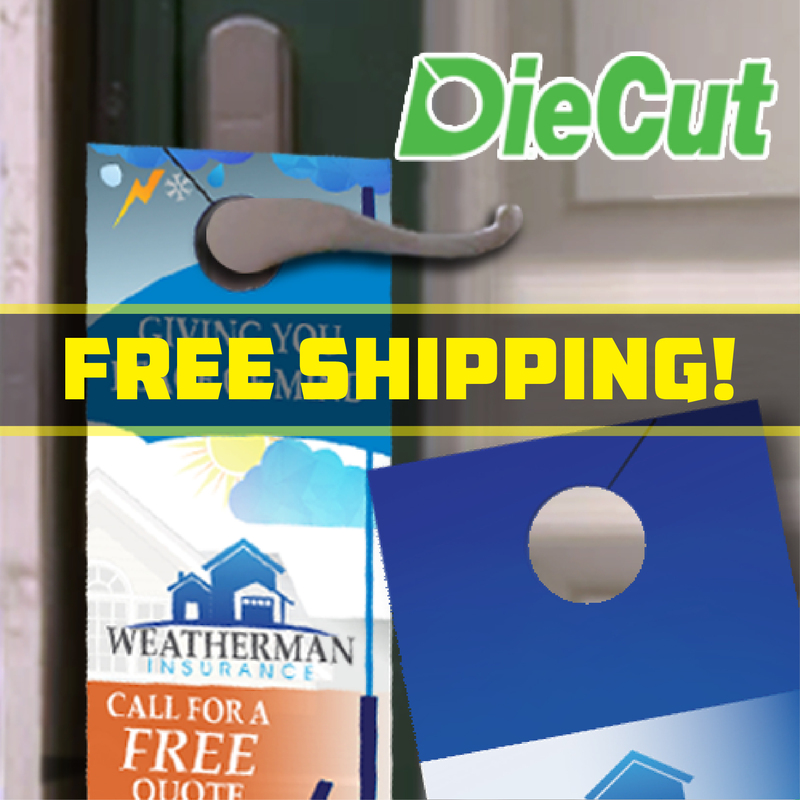 We have custom door hanger options that include traditional die cut door hangers to new features like Band-It® and Stick™ door hangers.We also offer Door Hanger Ripcards so you can attach a coupon or business card that your customers can easily hang on to. 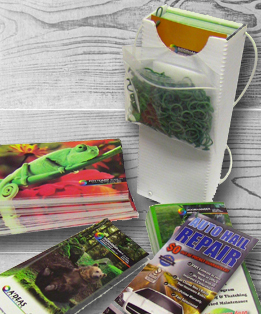 Lastly, add on a door hanger carrier to make hanger distribution a breeze or envelopes that are a convenient way for your customers to return payment or surveys. Have a birthday, wedding or block party coming up? 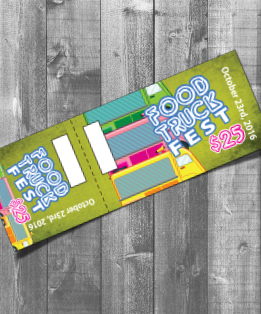 Personalize anything including fundraisers and community events using our Door Hanger Ripcards to attach the invitation, and then use Stick™ so your guests can store your information on the fridge until the big day! 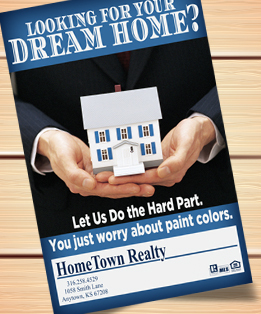 We offer several combination products like this for you to easily customize for all your Door Hanger needs.